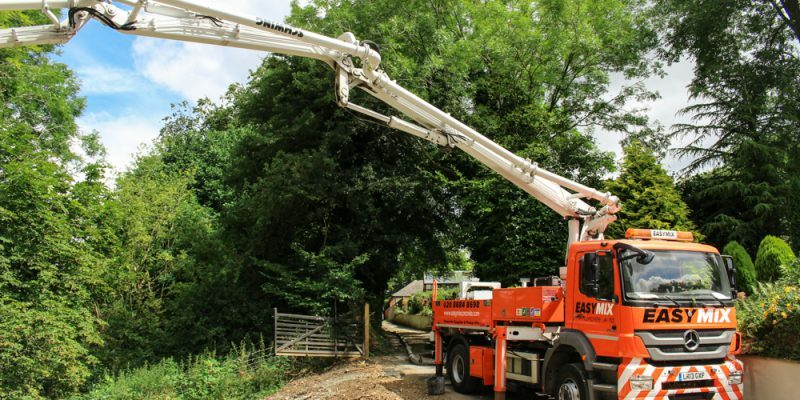 A boom pump can navigate the highest, lowest and tightest spots that a mixer vehicle, wheel barrow or ground line can not reach, making them perfect for jobs at height and for drop pouring from directly above. 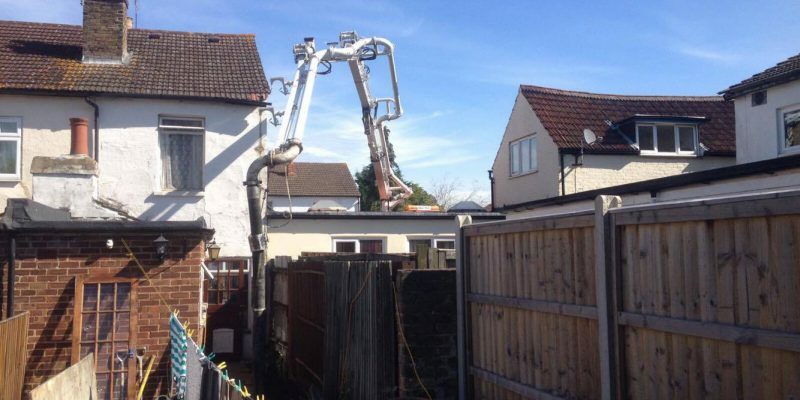 Featuring a long, hydraulic arm which can lift and place the concrete pipes into particularly difficult access areas, a boom pump is the the ideal solution if your work site is at a height, such as in a high-rise development project or behind another building, such as in the garden of a house with no rear access. Boom pumps can extend up to 72 meters, with possible extensions if required. How does a boom pump work? Mixed concrete is discharged into the pump’s hopper from the concrete mixer vehicle. From here it is pumped along a pipe to the required location. 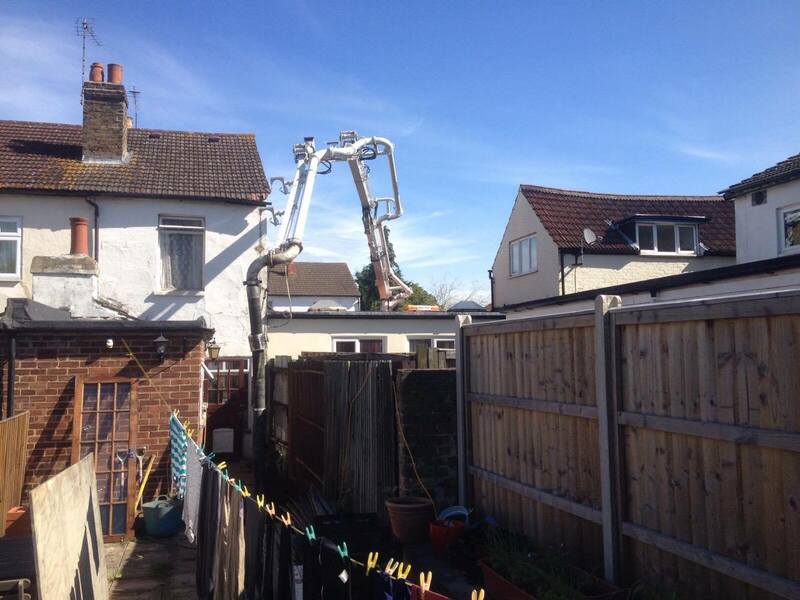 The pipe is attached to a hydraulically operated boom arm, which can be manipulated into the required position. 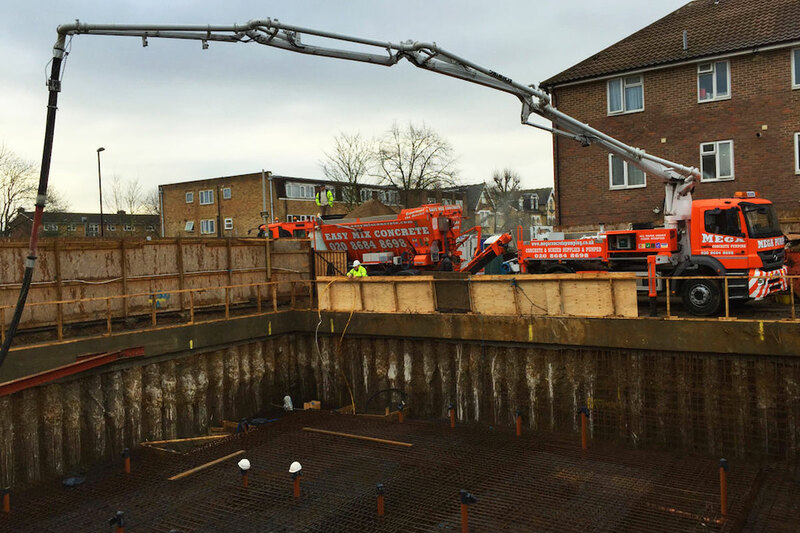 Our boom pumps transport concrete at around 1m3 per minute. 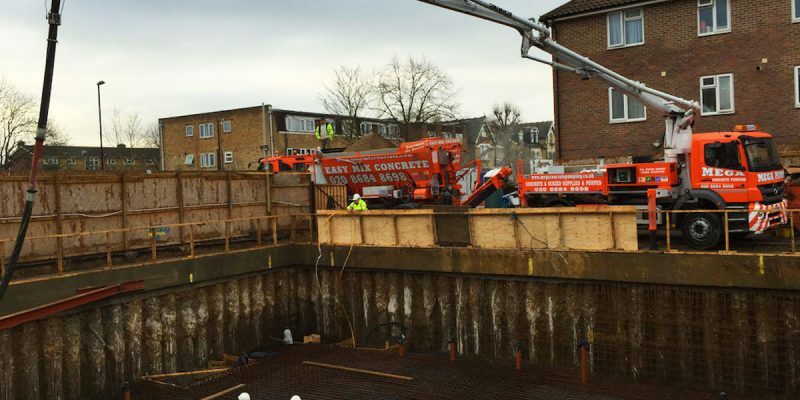 The hydraulic arm allows us to lift and place concrete pipes in hard-to-reach areas. 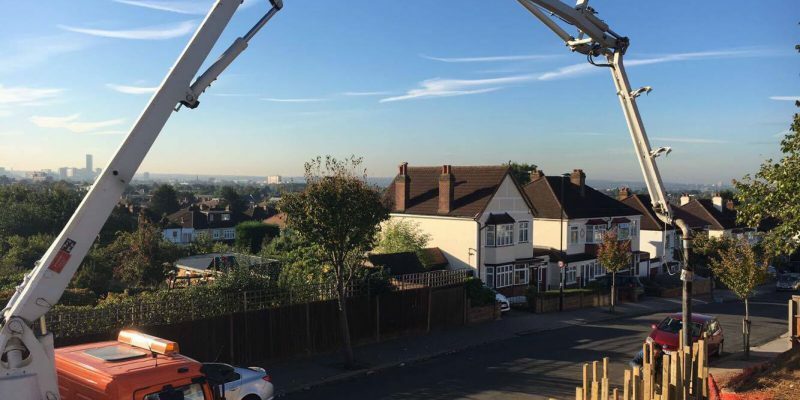 The pumps can go up stairs, over walls, fences and even certain buildings. They can be used for domestic and commercial jobs alike. 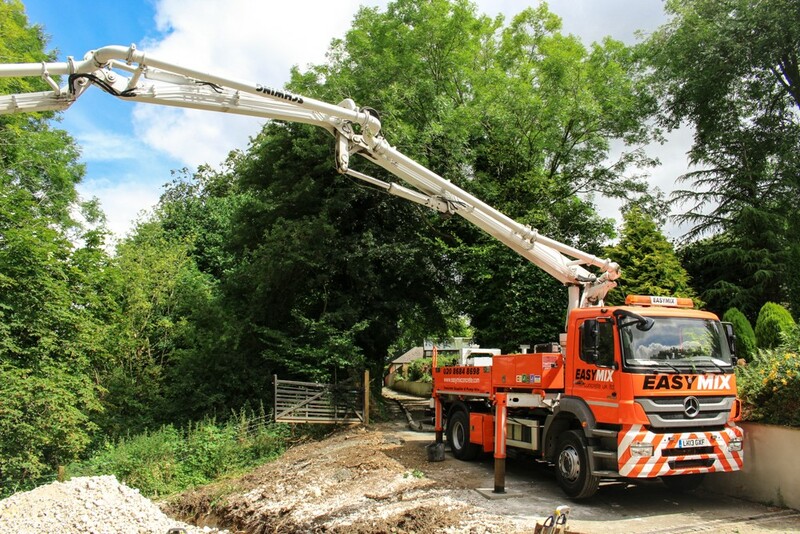 Boom pumps come in various sizes ranging from 20 metres to 72 metres. The speed and efficiency saves time, money and labour. A highly skilled boom operator comes as standard to ensure quick yet skillful work. 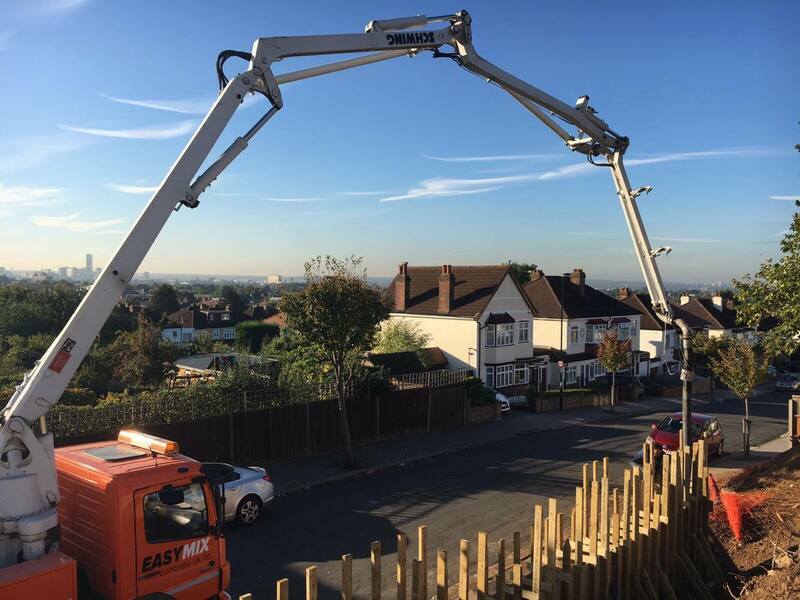 If you have more questions then get all the information you need with our ultimate guide to concrete pumps. View our portfolio to see examples of the work we have completed.